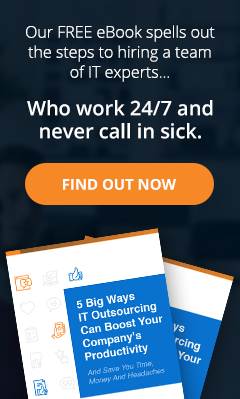 Support a remote workforce with the cloud - Columbus, Grove City | Arnet Technologies, Inc.
April 1st, 2019 Arnet Technologies, Inc. Remote working has quickly become a trend among many small- and medium-sized businesses (SMBs), despite the fact that many “traditional” business owners are skeptical of it. Even for those who don’t make use of it, the data can be quite surprising: working remotely works. According to Buffer’s The State of Remote Work annual report, over 99% of 2,500 remote workers they interviewed said they were in favor of working remotely — at least some of the time — for the rest of their career. They also responded favorably to encouraging other people to work remotely, with over 95% of respondents voting in the affirmative. EasyNET lets you work at any time, from anywhere, and on any device. Its cloud computing platform lets users work on and share information across multiple devices, and it even lets you work while you’re out of town or out of the country. All you need is internet access. EasyNET is a Virtual Office (VO) solution that has a ton of software included, such as Microsoft Office suite and Microsoft Exchange, on multiple operating systems (OSs) such iOS and Windows. Even if they are cross-OS-capable, the platform and interface remain the same, so that your employees can work together on the same project, no matter what kind of computer they use. Coupled with its access-anywhere feature, you can be assured that your collaborative projects can keep moving whether you are all in the office together or out on separate field trips. A key feature of this VO solution is that it provides virtual hardware, meaning you no longer need to make deep commitments to actual hardware, such as maintenance, updates, upgrades, and repairs. Not only does it allow employees to all work in ways that foster their individual productivity, but it also saves the company a lot of money it would have otherwise used for servers and the corresponding manpower needed to maintain it. This solution comes with advanced security software, including an enterprise-class managed anti-virus program, anti-malware, firewalls, a managed router, email encryption, managed secure Wi-Fi, spam filtering, managed backups, access control, and 24-hour monitoring and support. For a convenient and simple per-user, per-month cost structure, you can have the power of a full-sized IT department in the palm of your hands. All this, without the constraints of long-term contracts or cancellation fees, too. The key feature of any competent managed IT service is that it should make office work a simpler experience. With EasyNET, managers will have an easier time overseeing the employees under their wing. This solution leverages the power of the cloud to give you every advantage in the workspace. EasyNET isn’t just a bare-bones VO solution; it is a comprehensive VO package that facilitates efficient data management, collaboration, and communication, so that you can focus on producing the best goods and services out in the market. Still not convinced? Drop us a line and let us take you through how Arnet’s EasyNET Virtual Office solution can be the difference-maker for your business.